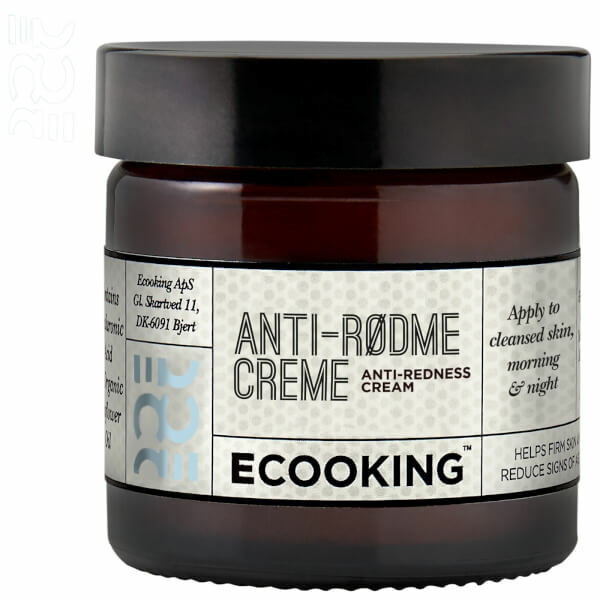 Soothe and strengthen sensitive skin with Ecooking Anti Redness Cream, a comforting, nourishing moisturiser that helps to balance the complexion. Melting in effortlessly, the velvety cream works to replenish vital moisture to the upper layers, calming any irritation or prickliness whilst plumping the facial contours for a youthful-looking effect. Anti-inflammatory Chamomile fights against free radical damage and premature ageing, whilst blurring agents minimise the appearance of fine lines and enlarged pores. 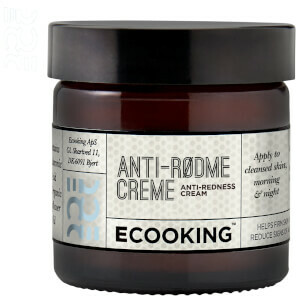 After use, skin feels comfortable and is clarified, strengthened and infused with a healthy glow. Apply to cleansed skin, morning and night. Pay particular attention to affected areas for a more targeted effect. Aqua**, Cetearyl Ethylhexanoate, Prunus Amygdalus Dulcis Oil*, Cetearyl Alcohol, Glyceryl Stearate**, Cetearyl Alcohol**, Butyrospermum Parkii Butter**, Glycerin, Phragmites Kharka Extract**, Poria Cocos Extract**, Stearic Acid**, Tocopherol**, Carbomer, Methyl Propanediol, Alcohol, Sodium Lauroyl Glutamate, Helianthus Annuus Seed Oil*, Chamomilla Recutica Flower Extract*, Cellulose, Caprylyl Glycol, Phenyl Propanol, Triethanolamine.